Hey mate, you've built "custom" .exe for high DPI setsups for me before, I had to reinstall right now (the software got corrupted for some reason) but now the link you posted a few months ago doesn't work so I had to install the new version which is too small for 4k. Instead of building custom high DPI executables wouldn't it be best to add a scaling options into the settings, I've seen many programs where you just have to pick 125%, 150% etc for the UI. 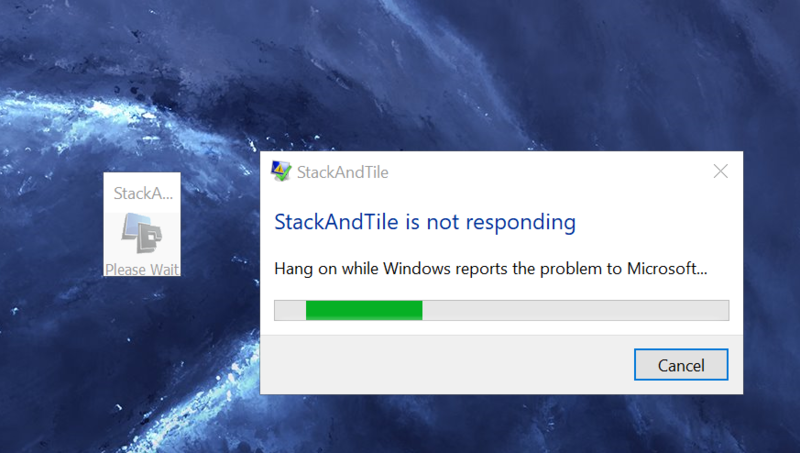 The reason I reinstalled was because the SnT kept crashing (stuck at loading), I reinstalled it, it didnt work, I uninstalled it completely re-installed it, rebooted and it worked once, but now it crashing again. Is there a .log I can upload so you can figure out whats wrong? (It started doing it with a previous version, new one does the same). (11-27-2018, 03:59 PM)baalshin Wrote: Hey mate, you've built "custom" .exe for high DPI setsups for me before, I had to reinstall right now (the software got corrupted for some reason) but now the link you posted a few months ago doesn't work so I had to install the new version which is too small for 4k. The highDPI versions automatically scale to the users scaling % in Windows, so nothing needs to be chosen in the settings. This will become default pretty soon, and the user won't have to do anything, but I'm just waiting on a 4k monitor for myself to do some more thorough testing.